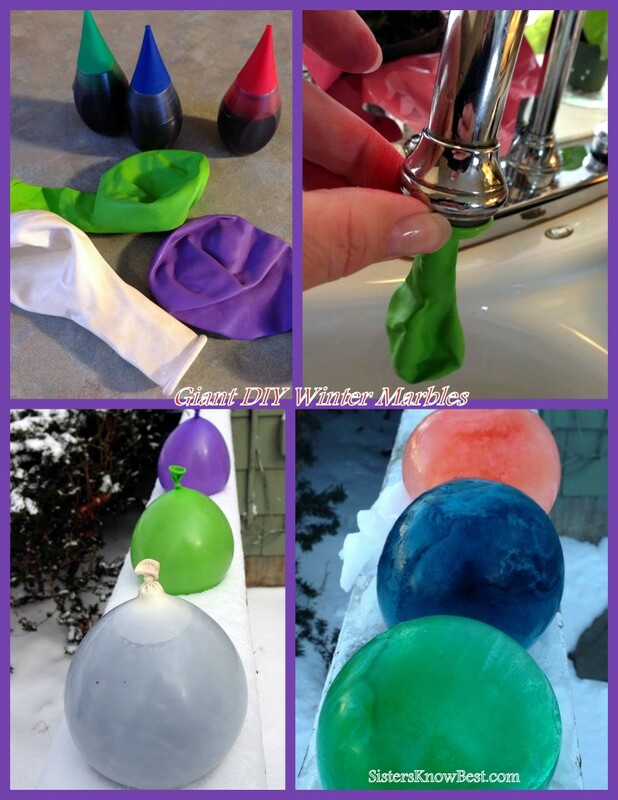 Add a few drops of food coloring to each balloon. Put opening of balloon around the hole of the sink faucet. Hold balloon on the faucet and turn on a SLOW stream of water. When balloon reaches desired fullness, shut water off. Remove balloon from faucet while holding the opening part of the balloon firmly. Twist balloon opening around and tie. Place outside or in freezer until frozen solid. 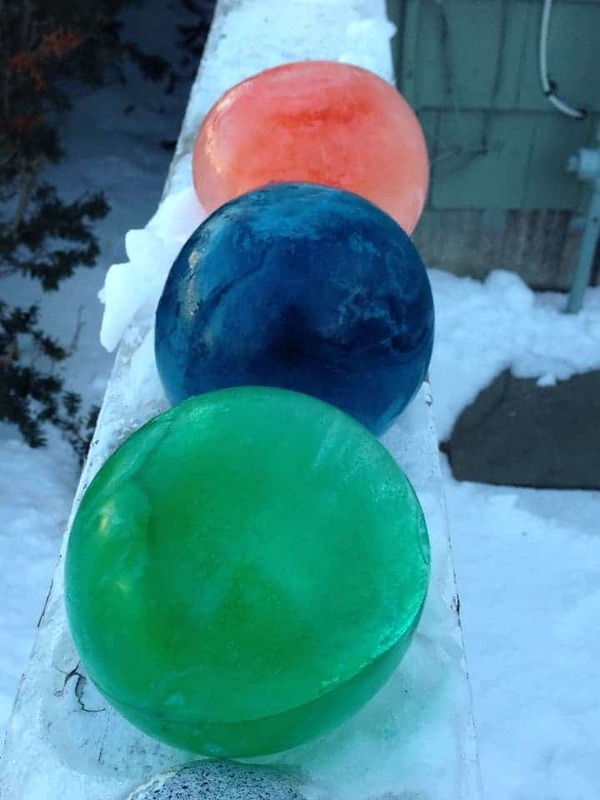 Tip: Make a circular area in the snow for the balloon to sit in so the marbles come out circular. Use scissors or fingers to break balloons away. I’d love to see the colors you create! If you make different sizes, you can stack them up for a cool snowman! 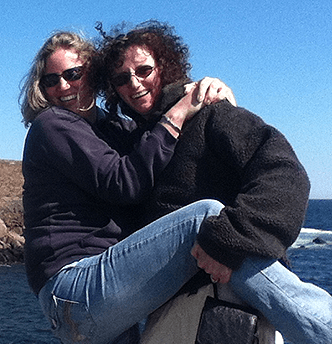 Show us yours by posting pics on our Facebook page!